Eleven second year UCI medical students traveled for a month to Mwanza, Tanzania in July to conduct three unique clinical programs, including ultrasound anatomy training for students studying at the Tandabui Institute of Health, Education, Science and Technology (TIHEST), vision clinic in which 300 children were screened for basic vision and eye problems and cervical cancer screening. 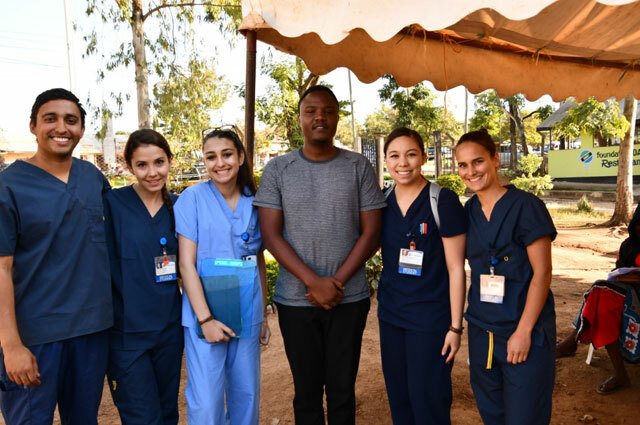 This is the fifth student group from UCI to instruct and conduct ultrasound research in Tanzania. 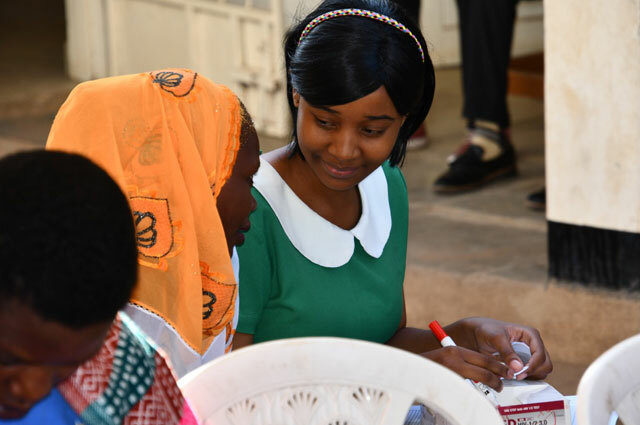 Importantly, the highest burden of cervical cancer mortality exists in East Africa, where approximately 50,000 women die from this disease each year. 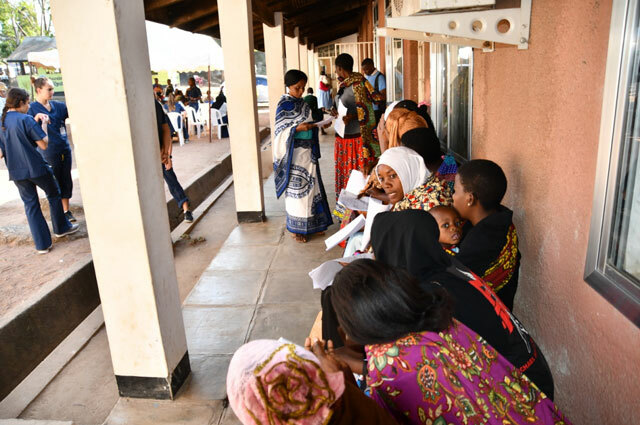 The UCI group, Team Tanzania 2018, screened 828 patients for cervical cancer and identified 206 pre-cancerous lesions and 15 lesions considered suspicious for cancer. Of the 161 cryotherapy-eligible women with pre-cancerous lesions, 143 were treated immediately with cryotherapy. Those with possible cancers were referred to a local cancer center. 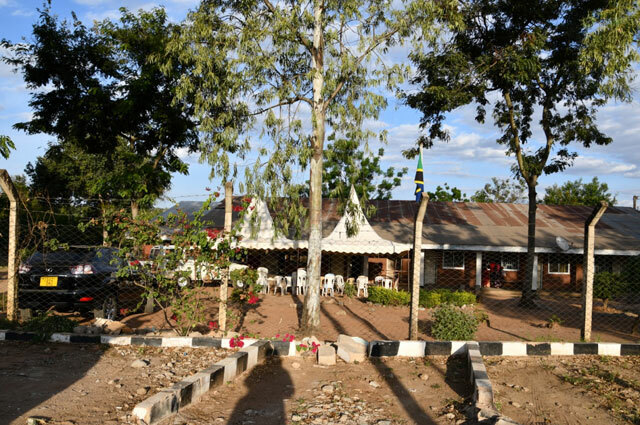 The current cervical cancer screen-and-treat clinic was developed in partnership with Buzuruga Health Centre, an urban public hospital, and a rural health center in Sangabuye. 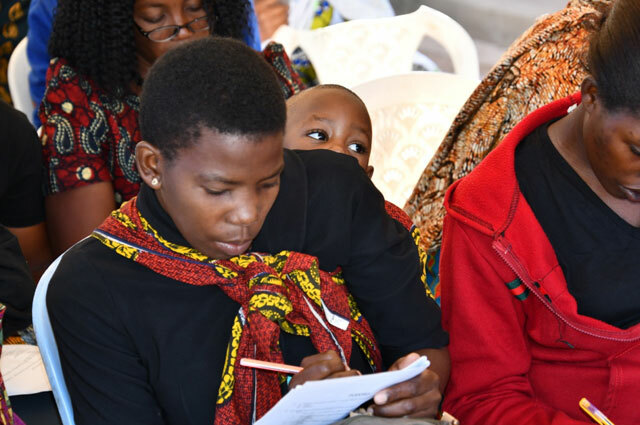 On-the-ground efforts to reach the women of Mwanza included banners hung from bridges, fliers distributed by the medical students, church announcements and a van equipped with a loudspeaker driven through surrounding communities every afternoon for two weeks preceding the workshop. The Buzuruga Health Centre has already hosted two screen-and-treats in the month after the UCI team left. The UCI group encountered some challenges along the way. Tewari said rooms for cervical cancer screenings clinic were quite small and had broken, damaged or outdated equipment. In addition, there were only two cryostat probes that could be used and these needed to be cleaned for twenty minutes after each use. However, a bureaucratic snafu was among the most unexpected challenges. This pilot study using 3D printed speculums was supported by UCI’s Institute for Clinical and Translational Science. An abstract describing the process was presented at the 2018 International Gynecologic Cancer Society Meeting last week in Kyoto, Japan. Current UC Irvine second year medical student Elizabeth Crawford travelled to Kyoto to give this well-received presentation. “The 3D printed speculums are inexpensive to create and may contribute to the sustainability of such cervical cancer programs in developing countries where speculums are in short supply,” Crawford said. The other supplies required for the campaign arrived without incident. The language barrier was also at the root of most other challenges. 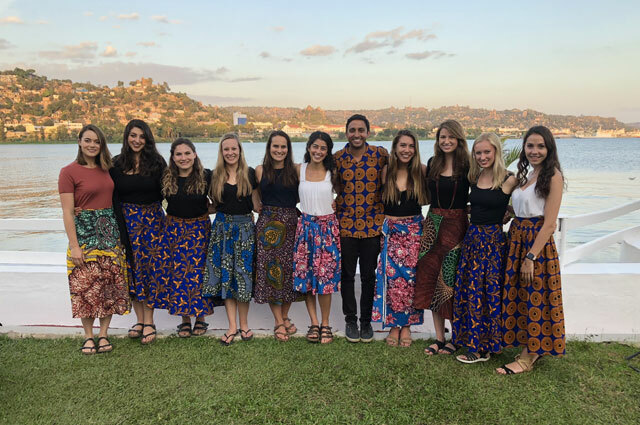 Tewari said the medical students planned the trip, identified resources that would be needed, raised more than $16,500, practiced ultrasound, learned basic vision screening, and become comfortable with visual inspection of the cervix with acetic acid — all while completing their first year of medical school. Maher and the other students underwent training using World Health Organization and International Association for Research on Cancer resources. A trip through Tanzania wouldn’t be complete without visiting Mt. Kilimanjaro, the continent’s highest peak. “It was an unforgettable sight,” said Maher. 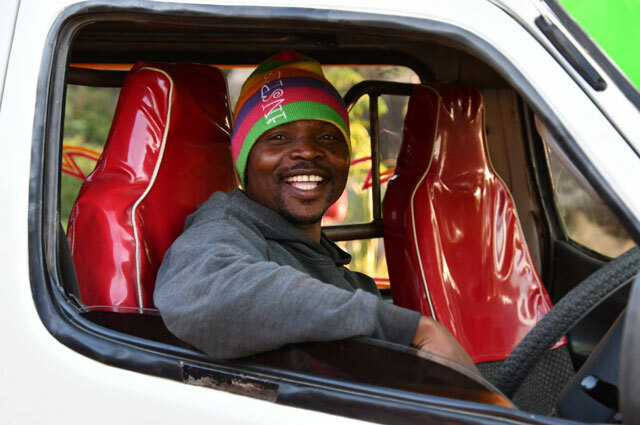 “We started our trip by climbing ‘Kili’ as a group—and everyone made it to the summit! The trek was as beautiful as it was difficult, and it really helped us bond before working in Mwanza. She said the kindness and patience of the group’s guides and the work ethic of the porters set the tone for the rest of the trip. “Their work reminded us to be gracious and have fun even when cold, exhausted, and in pain,” Maher said. 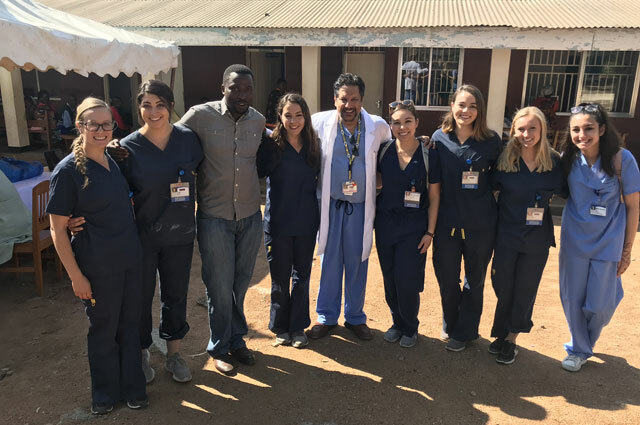 For Maher, her involvement in planning and executing the trip has had a great impact on how she thinks about her medical education. 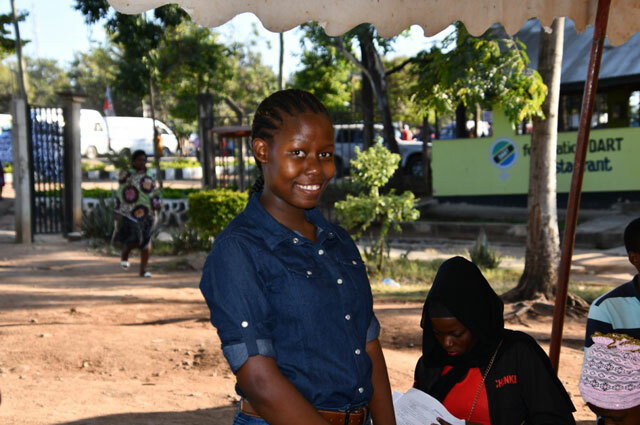 Maher said she hopes to set up her clinical rotations in a way that will allow a return to Mwanza to help with the screen-and-treat again.